As we all well know, businesses of all scope and dimension do not operate on a strict 5 day a week, 9-5 schedule. 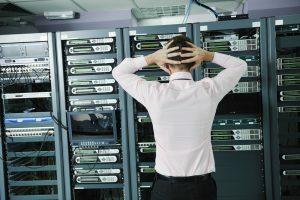 It is important for your computer systems to be functional at all times to ensure reliability for your customers and the employees who work for you. The countless advantages of having strong 24-7 IT networking support in Edmonds cannot be overstated. A dedicated technology support team provides security and confidence that all businesses from large corporations to small local companies can depend upon regardless of need. An outside vendor can provide valuable insight into areas of your computer system and its workings that you may not be able to discern. Consultation about hardware and software issues. Continuation of business or disaster recovery services. Availability of a wide range of services to meet every business need. Flexibility in every aspect of computer support. The technological experts at Technology Portal have the required expertise and experience to provide reliable and affordable 24-7 IT networking support in Edmonds no matter what situation may arise and at any hour of every day. Call us today at (425)220-9294 to schedule a meeting to discuss your unique computer requirements and how we can effectively meet them. We look forward to your call and to working with you. Does your company need a vCIO or virtual CIO? 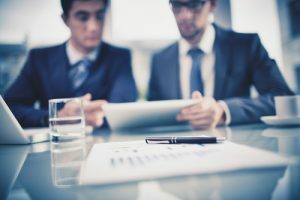 An individual contractor or company that serves as a vCIO virtual information officer in Mill Creek works closely with your IT department and functions just as a traditional CIO would. Probable duties may include planning the IT budget, IT Solutions, making IT goals, evaluating and redesigning processes and facilitating changes required to update your technology. In addition, the vCIO can assist customers of your business with IT issues of all types. The primary difference between a vCIO and other IT services is that the vCIO focuses more on aligning IT and business operations. Have experience with IT budgeting. Exhibit exceptional knowledge of IT management and planning for a variety of projects. Be current on current trends in technology that may impact your business. Be able to integrate IT systems with your company objectives. Pricing for a virtual CIO varies widely and could be set up either as a flat fee subscription payable monthly or at an hourly rate, depending upon your specific requirements. A small to medium-sized company has a distinct advantage when hiring a vCIO, as their services are much more affordable than a traditional CIO. The HR department also does not have to take valuable time involved to hire a CIO. With someone on the virtual side, availability is constant and ever-present. To see how your business can benefit from the services of a vCIO virtual chief information officer in Mill Creek, contact the professionals in the field – Technology Portal. We are ready to take your call at (425)220-9294. Traditional backup strategies transfer data to storage media like tape, which can be unreliable. Completing all of the required tasks involved with tape rotation and replacement, in addition to a many other processes, can be faulty due to human error. 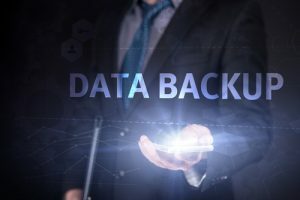 Data backup may be unsuccessful and may not be noticed until it is too late. Tape backups are notorious for slow speed and other problems. Strangely, tapes are usually stored in the same place as the original data. Floods, fires and other disasters can destroy everything. Expanding backup systems and libraries of tapes are costly. Tapes have the potential and likelihood to break, crack, get old and unreadable or be misplaced. Tapes and readers must be maintained properly and cleaned regularly. When you necessarily update your system to remain current with technological advances, it is not likely to be compatible with the older tapes that hold valuable data. For a state-of-the-art data backup system in Everett, call the tech pros at Technology Portal at (425)220-9294. We welcome your inquiries and would be happy to schedule a consultation with you. There are any number of factors that go into a smoothly operating business to make it successful, from employees to an engaging website to beneficial products and/or services. One crucial aspect is computer operation. Whether your company is a multi-million dollar corporation with several locations or a single small hometown business, your computer system must continue to work effectively to ensure efficiency for you and your customers. Hiring a company that specializes in networking support in Bothell makes certain that your computer systems remain up-to-date and with the latest software through continual monitoring. A network support engineer or engineering team will focus on maintaining your entire corporate network either internally as part of the internet technology support team or as a third-party network tech provider who is available upon demand. 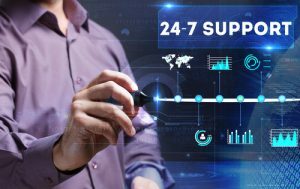 Unique services that may include but are not limited to testing, regular maintenance and troubleshooting, upgrades and performance analysis can be a part of your overall support program. 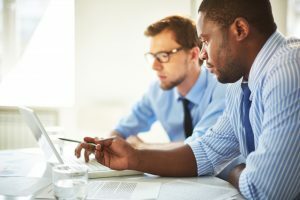 There is a great demand for the expertise of network support personnel so locating a professional who offers quality and affordability is key for your business. Recommendations from others within your industry may be helpful in securing trustworthy IT support. For superior IT staff with the knowledge and expertise that you require for your business, contact the expert team at Technology Portal by calling (425)220-9294. 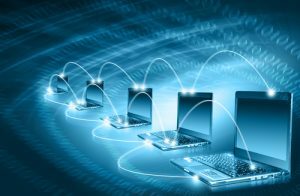 We are prepared to supply premium networking support in Bothell for your company. See for yourself what we can offer you in the way of computer support. 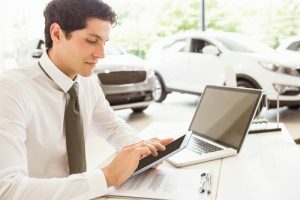 While virtually every auto dealership sells vehicles, maintains a parts department, has sales and financing areas and more, each company has its own particular manner of doing business that makes it stand out in some way from the competition. Allow the professionals at Technology Portal to complete an evaluation of your car dealership’s computer system’s advantages and deficiencies so that we can develop a plan to make the most of the technological services we have to offer you. Or, if you are initiating a computer system, we can develop just the right software and hardware unique to your dealership. Call us today at (425)220-9294 to schedule your appointment for a consultation for auto dealer IT services in Lynnwood. While it may seem that it is easier to walk into an electronics store and buy a ready-made computer, that is not always the case. There are distinct advantages to having a single computer or multiple computers that are the result of a new computer buildout in Woodlinville. Your own PC or PCs can be configured exactly to meet your specific requirements within your company or within your home. Having a computer built from the bottom up can be quite cost-effective since you will not have to purchase additional software to make it work for you. A specially-designed computer system may be equipped for any number of operations, including: gaming, advanced photo or video-editing, CAD/CAM applications and other unique tasks. Experienced computer techs can effectively and easily configure a new computer to do virtually anything that you need with multiple ports for different connectivity options, hardware and software to meet your technological specifications, integration of multiple systems within an organization or business and more, depending upon what you need and want. Meet with our professional computer specialist to discuss your particular budgetary concerns and your computer requirements before getting started. Our knowledgeable is equipped to handle any computer system set-up and design that you desire. Call us today at (425)220-9294 to schedule an appointment to discuss your specifications, see examples of what we can do for you and options for your own new computer buildout in Woodlinville. Our computer specialists are at your disposal. 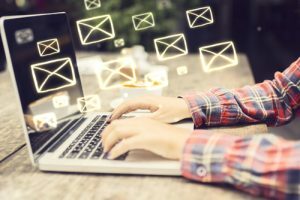 There are often situations that occur within a company that require exchange & office email migrations in Kirkland, including upgrades and software transfers. It may be that you are upgrading to a centralized administration center and need to bring all of the individual mailboxes on board. By completing this process in stages, you will eventually bring all users to the same exchange and hopefully create a more seamless and efficient system. A professional IT consultant will determine what type of migration will be necessary, depending upon how many mailboxes must be transferred and the type of current system you are utilizing. Note that mailboxes only will be migrated. Directory synchronization will be required for contacts, distribution groups and mail-embedded users. Out-of-office messages and notifications will need to be re-established after migration, as well.The tech professional will also assign new licenses to each user, create a DNS record and disable old exchange servers, as required. While it is possible to complete an office email migration on your own, particularly for a very small business with few users, it is well worth the effort to hire someone with the specific knowledge necessary to successfully transfer multiple mailboxes within a medium-sized or large organization to ensure that operations are not interrupted and disruptions are kept to a minimum. We have the expertise and training to initiate smooth exchange & office email migrations in Kirkland. Call us at (425)220-9294 to learn how our team can help you transfer your mailboxes quickly and effectively so that your business can continue normal operations. You May Need IT Service in Marysville if . . .